Mr. Robert Lee Mofford, age 71, of South Point, Ohio, formerly of Vanceburg, Kentucky, passed away Wednesday evening, November 7, 2018, at Emogene Dolin Hospice House in Huntington, West Virginia. He was born August 23, 1947, in Lewis County, Kentucky, a son of Francis Geneva Switzer Mofford of Bucyrus, Ohio, and the late Robert Eugene Mofford. Robert was a member of the Moose Club and the VFW in Ironton, Ohio. He enjoyed going to flea markets, listening to country music and traveling. In addition to his father, he was preceded in death by one brother, Gary Mofford. 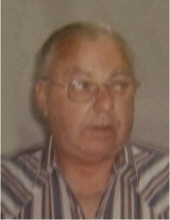 Robert is survived by his companion, Mary Grooms; two sons, Robert Matthew Mofford and Timothy Mofford, both of Bucyrus, Ohio; one daughter, April Suits of Bucyrus, Ohio; eight grandchildren; six great grandchildren; two brothers, Wallace Weddington of New Boston, Ohio, and Bill Mofford of South Point, Ohio; and two sisters, Joann Renchen of Bucyrus, Ohio, and Wilma Walker of Vanceburg, Kentucky. He also leaves many other family members and friends who will sadly miss him. Funeral services will be held at 1 p.m. Saturday, November 10, 2018, at Dickerson Funeral Home in Vanceburg, Kentucky, with Brother Thomas Switzer officiating. Burial will follow in the Black Oak Cemetery in Lewis County, Kentucky. Friends may visit from 11:30 a.m. to 1 p.m. Saturday, November 10, 2018, at Dickerson Funeral Home, 110 West Second Street, Vanceburg, Kentucky 41179. "Email Address" would like to share the life celebration of Robert Lee Mofford. Click on the "link" to go to share a favorite memory or leave a condolence message for the family.